Here are some of my favorite songs that were popular in the ’70s. I hope you agree with me that they deserve a second listen. Enjoy! Special Thanks to Clive Davis (for his continued support and friendship), Garry Kief and Steve Wax (for their impeccable guidance), Marc Hulett (for his devotion and assistance), Michael Omartian (my talented new friend and colleague for sharing his brilliance with me). Also, my gratitude goes to our terrific engineer, Terry Christian, and to all the gifted Nashville musicians that contributed to this project. And thanks to my Arista family: Roy Lott, Richard Palmese, Ken Levy, Jay Krugman, Steve Bartels, Carol Fenelon, Jim Swindel, Jess Auerbach, Eliza Brownjohn-Diamond, Cathy O’Brien, Clare Dowds, Tom Ennis, Mark Rizzo, Susanne Savage, Cord Himelstein, Shari Rothstein and Sheri Lee; and to Alan Grubman, Candice Hanson, Sandy Frankel, Tucker Cheadle, Richard Goldman, Lester Knispel and Todd Bozick. 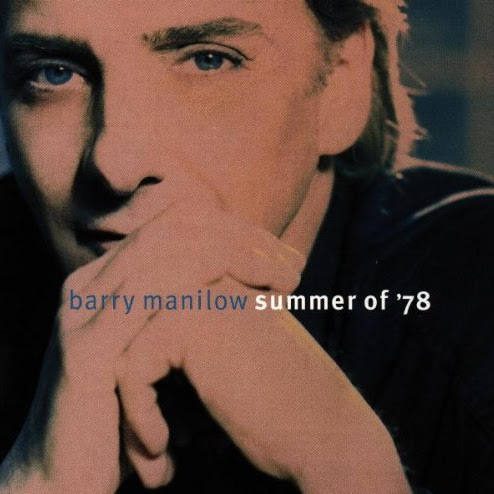 Barry Manilow: Thank you for inviting me to be part of this album. I’ve enjoyed every minute that we’ve spent putting our heads together to create this record. You are truly talented and I am proud to be associated with you. Marc Hulett: I’ve enjoyed working with you. I like the shoes. “Stiletto” Entertainment and “Barry Manilow” are registered trademarks of Hastings/Clayton/Tucker, Inc.
“Interlude: Love’s Theme”, Sa-Vette Music, Super Songs Unlimited, admin. by UniChappell Music, Inc. (BMI); Performed by Love Unlimited Orchestra, under license from PolyGram Special Markets, a division of PolyGram Group Distribution, Inc.